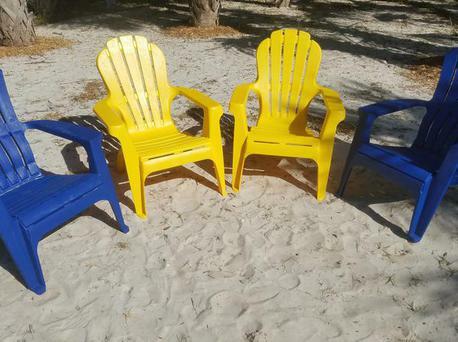 There is a distinctive feeling one gets when in Cedar Key. A comfortable feeling like wearing old, soft jeans. An attitude that says you are home now you can relax and put up your feet. Is it the salt smell in the air, the sunsets on the Gulf, the sights and smells and sounds of the little village by the sea with its eateries and its shops and its bicycles? Or is it the mangroves and low tides and fishy odors on the breeze. It may be one or all of the above. But that feeling is real and it is worth traveling a little farther for. Worth staying on the roadway until it ends....in Cedar Key. 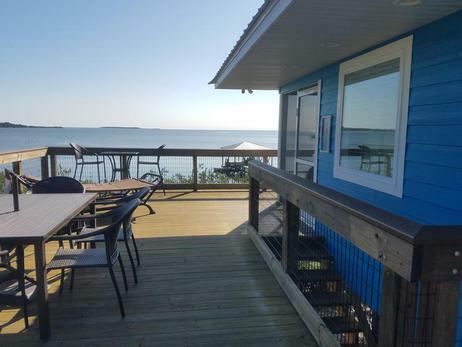 Mermaid Manor is located on the Gulf of Mexico in Cedar Key Florida, an island village approximately three miles from the mainland. 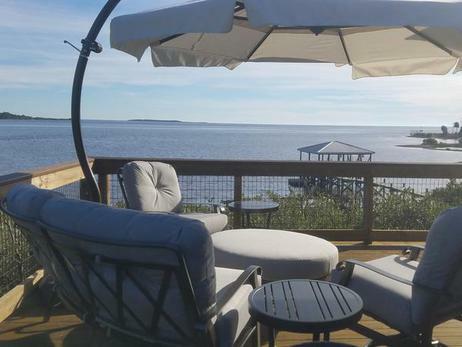 This new house, built in 2015 overlooks what is called Goose Cove with islands and gulf waters extending out as far as one can see. 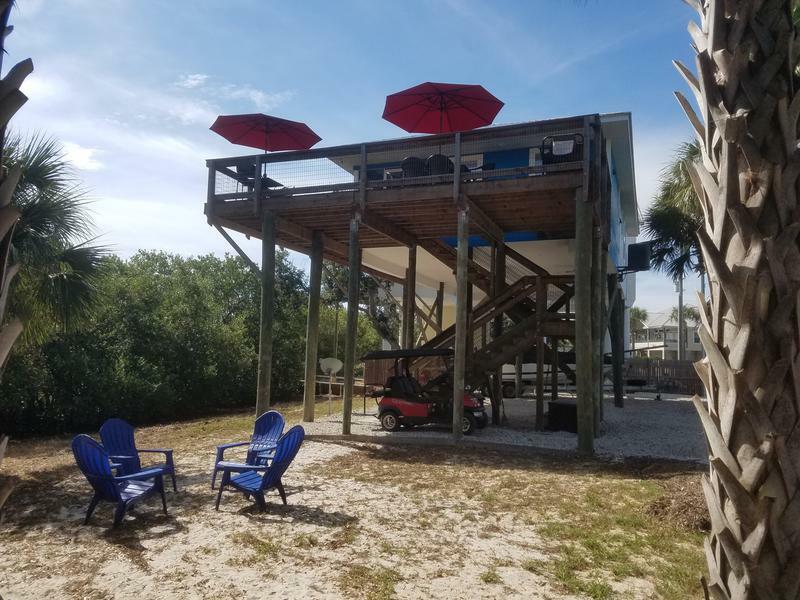 The two bedroom, two bath home with porches and balconies on two sides is elevated and affords panoramic water views. 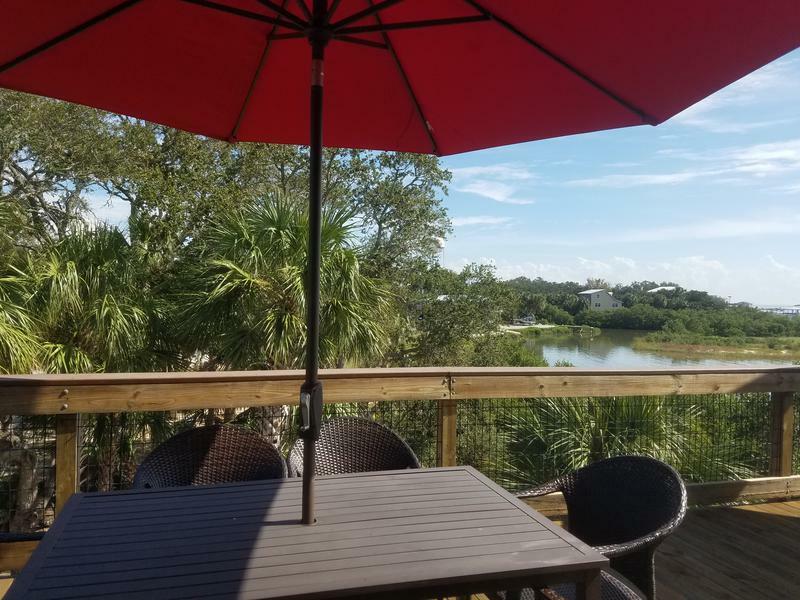 From the cozy screened morning coffee porch to the large spacious open deck there is no shortage of inspiring views. 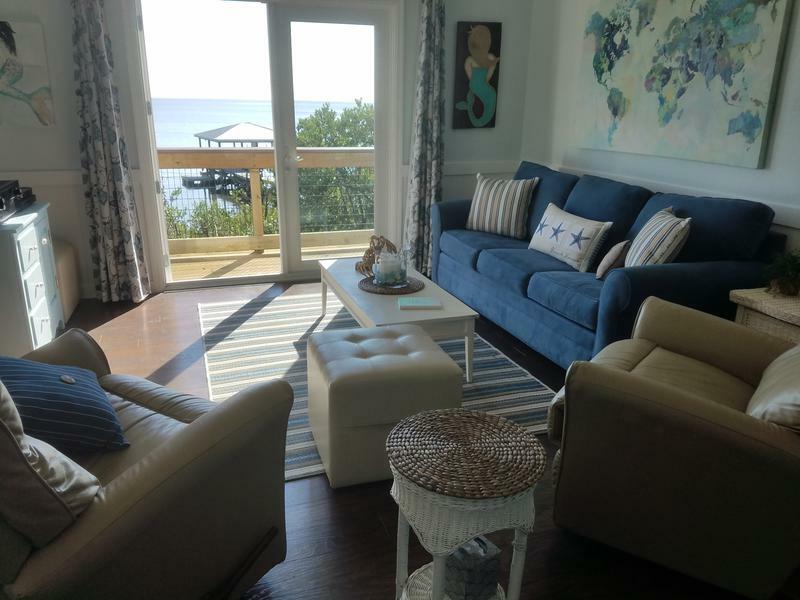 Once inside the home the open and light filled great room continues to bring the outside in with views of the Gulf of Mexico. 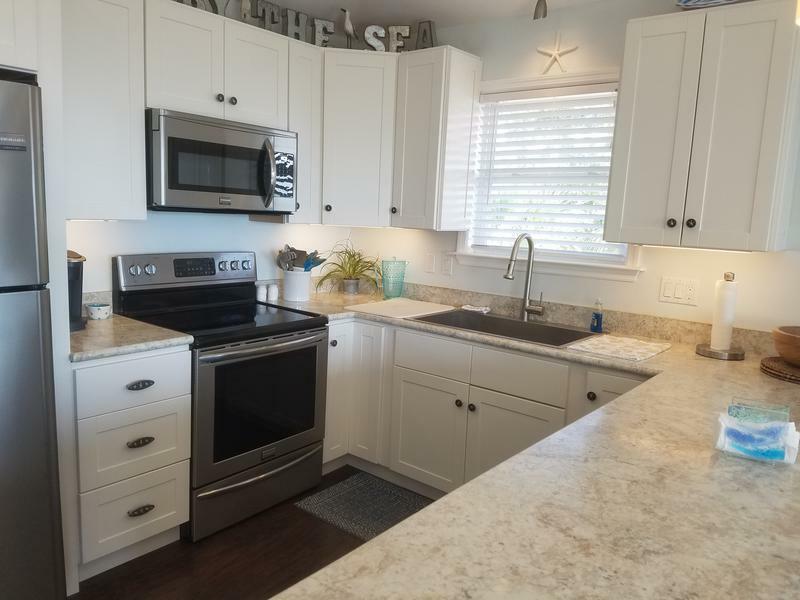 Whether you are in the living room, the dining area, the kitchen or the master bedroom the sparkling water of the gulf are never more than a glance away at Mermaid Manor. 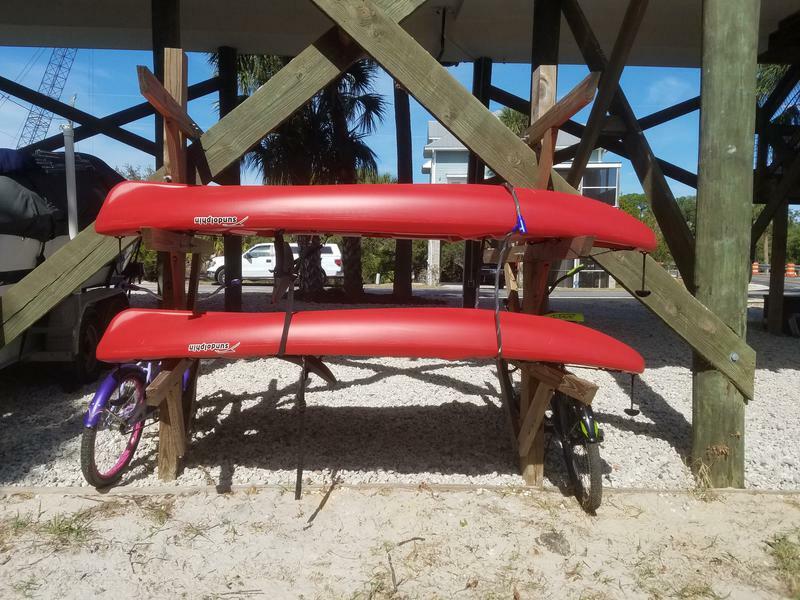 When you are ready to explore all the byways and nooks and crannies of the island all you need do is take the bikes (here for you to use) out for a leisurely excursion. Two miles in any direction and you have seen the entire island. Or perhaps you want to take a faster method of transportation. 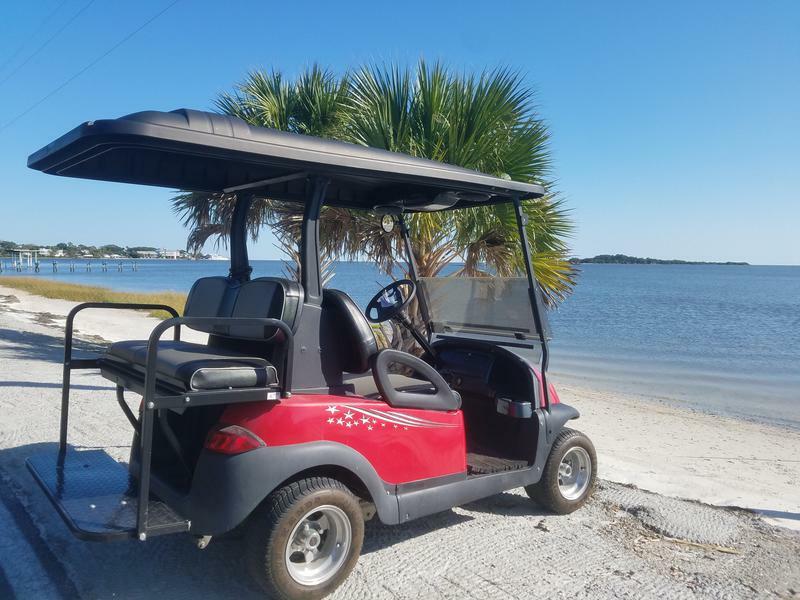 Then climb aboard the four seat golf cart (available to you for an additional charge). 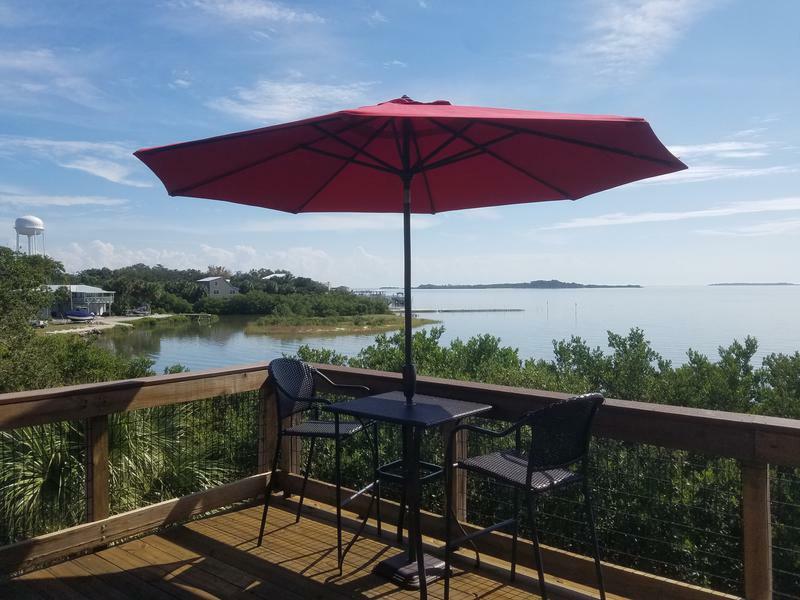 The breeze in your face, the 12 mph pace, the "hellos" and "howdys" from other happy visitors and locals alike will cause you to ask yourself "how was I ever so lucky and blessed to find Mermaids Manor and Cedar Key?" 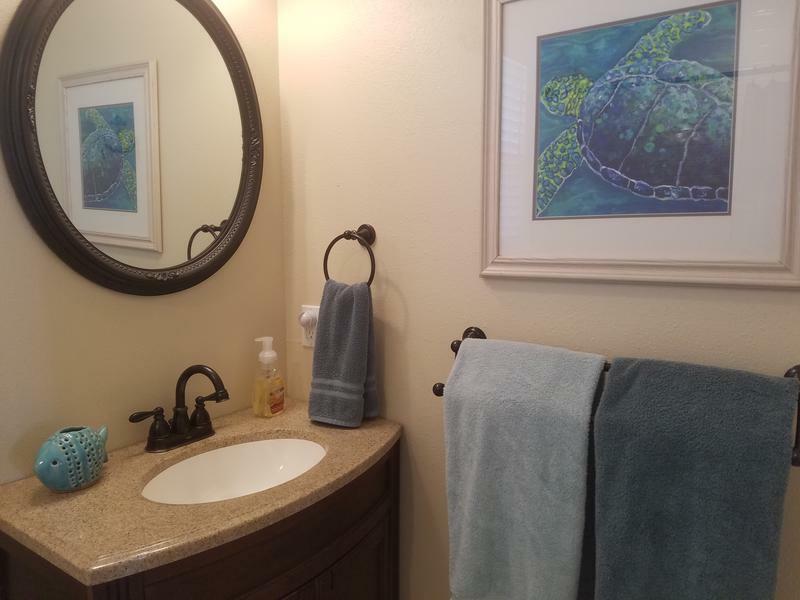 Mermaid Manor house comes fully furnished and well equipped. 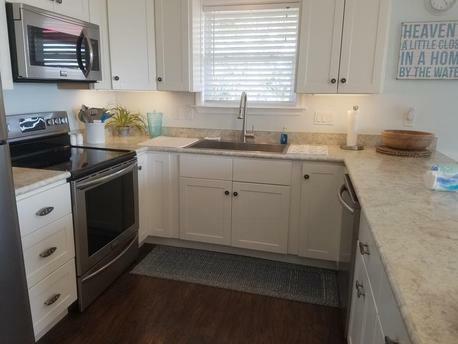 It is clean and neat and goes above and beyond even the McCormick Management Co. standards. 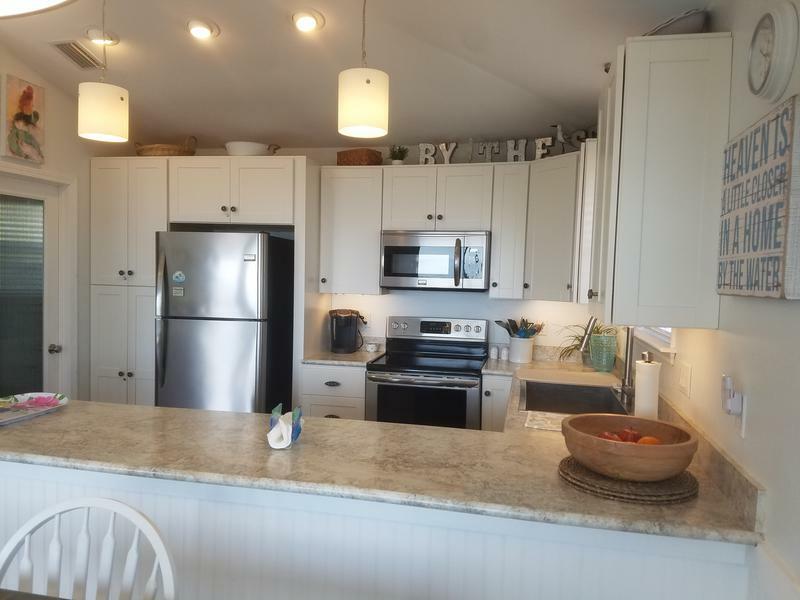 The Kitchen is stocked well with all one needs for cooking and serving and dining in. 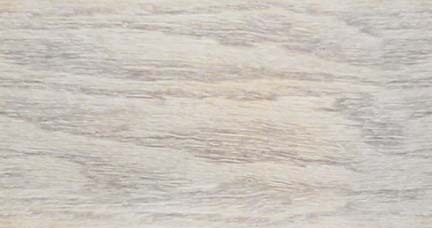 The bedrooms are tastefully done and all your linens are supplied. 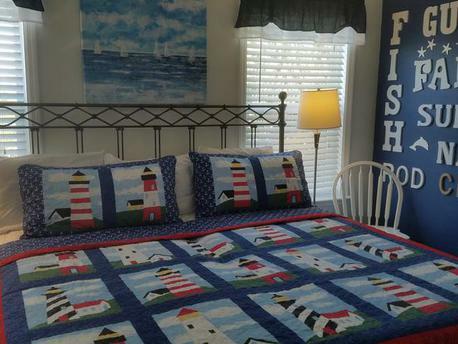 There is a King bed in the master bedroom and another King bed in the guest. There is a tv in the guest bedroom but not the master. 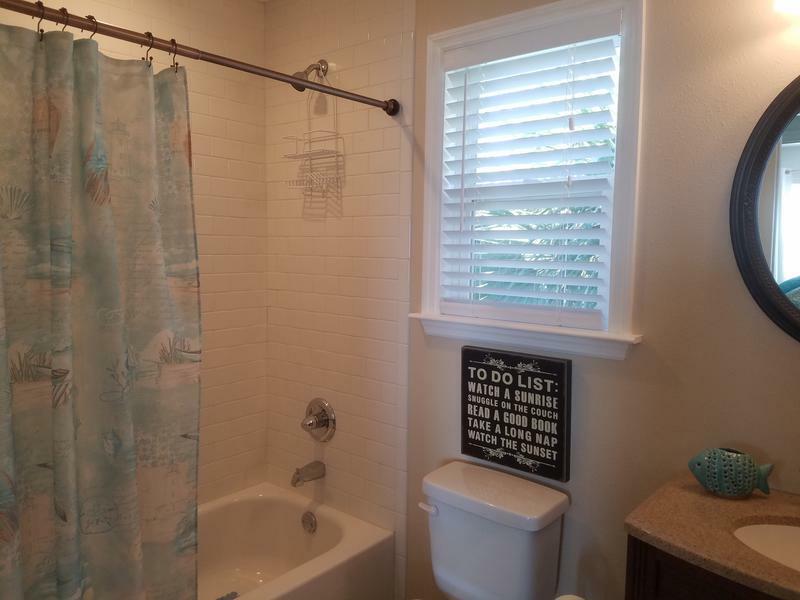 The master bath has a very large tiled shower. 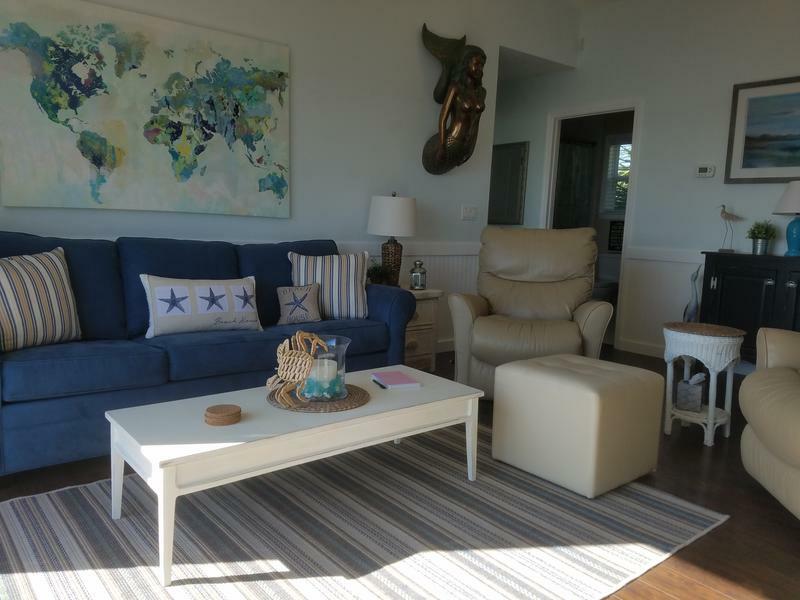 The living room is spacious and comfortable with seating for four and is open to the Gulf of Mexico view. The dining area is great for conversation and games. We also have a breakfast bar. 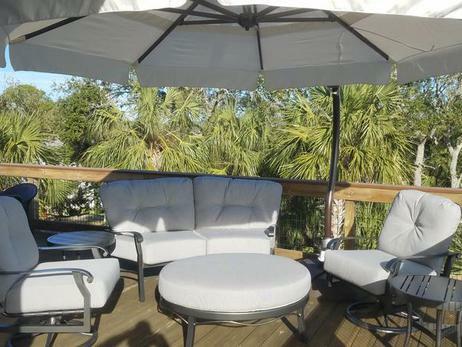 The decks are spacious and open with tables and umbrellas to shade you from the Florida sunshine. 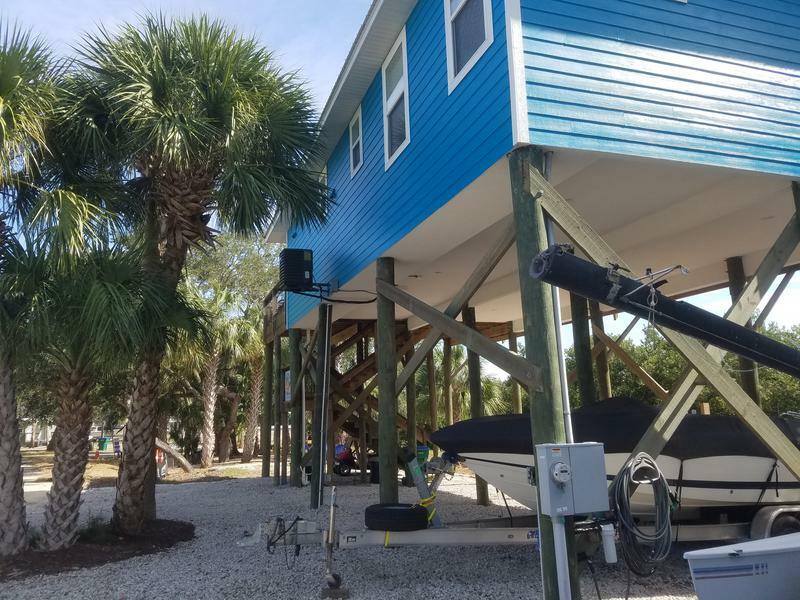 Thanks to the elevated construction one usually has a breeze from the water. A sandy area located beside the house has adirondaks under the sable palms. Fishing is abundant here whether it is fishing from a bridge or a pier on inshore fishing or off shore fishing there is no shortage of ways to catch fish. 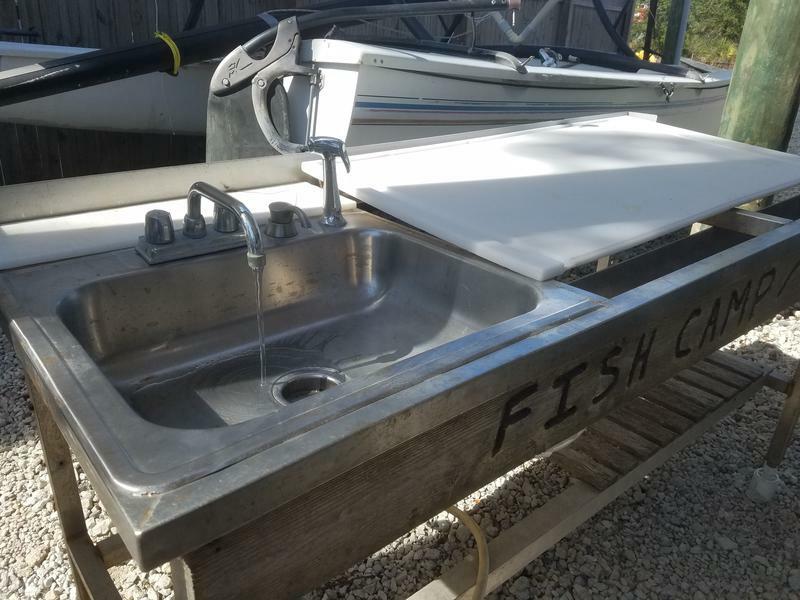 If you bring some home there is a convenient fish cleaning sink with water just under the house. 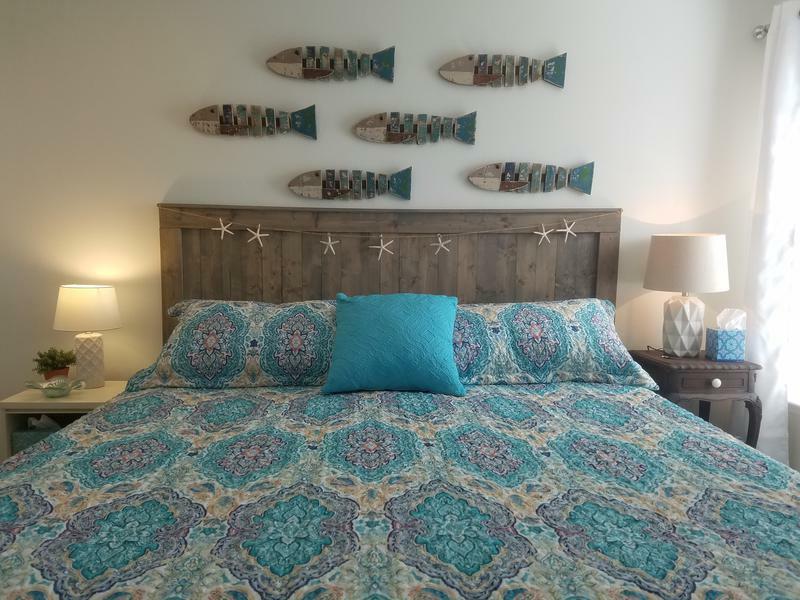 Mermaid Manor accommodates four guests. No more. So please respect our rules. We do not allow any smoking and we cannot accept pets. We have dish network TV and also Wi-Fi. 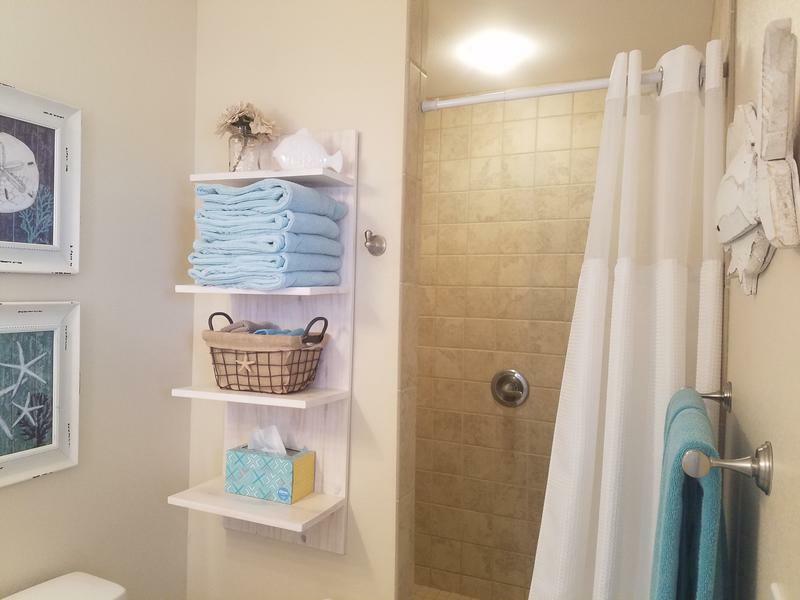 Washer and Dryer is also available for your use. Two couples are welcome to share our home. Or two adults and two children. We strive to keep our rates competitive and affordable. 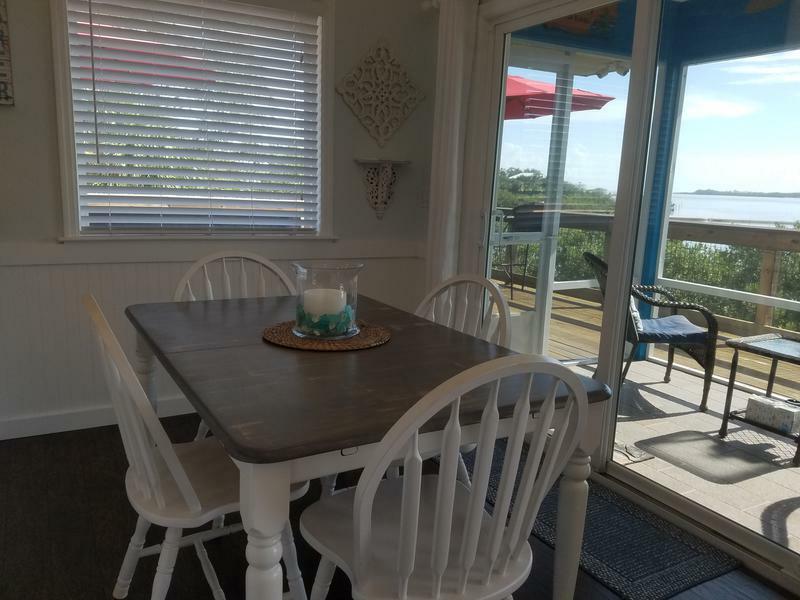 Invite you closest friends to come to Mermaid Manor and share the cost of a three day weekend or a week or even a month. We would be honored to have you as our guest. 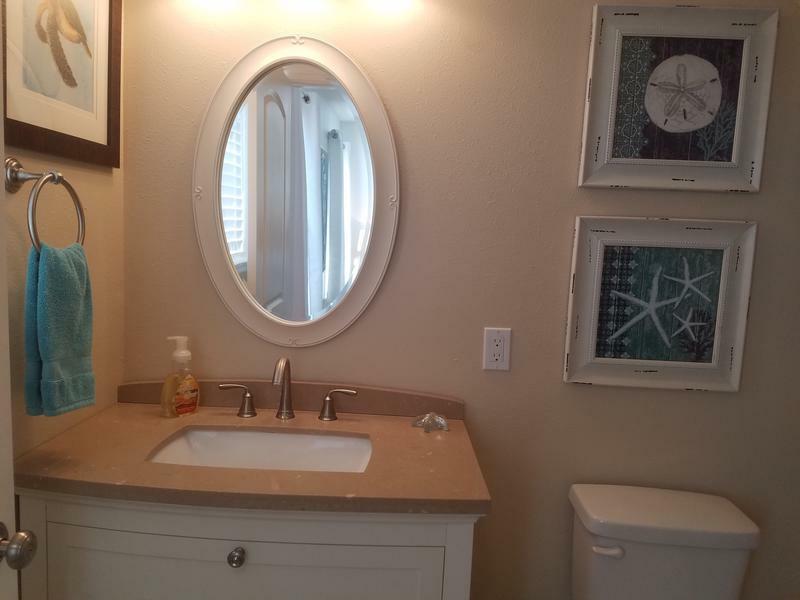 McCormick Management will attend to your needs while you are at Mermaid Manor. The office is open seven days a week and they are connected after hours as well should an emergency arise during your visit. our tax rate is 9% and will be added to the above rates. 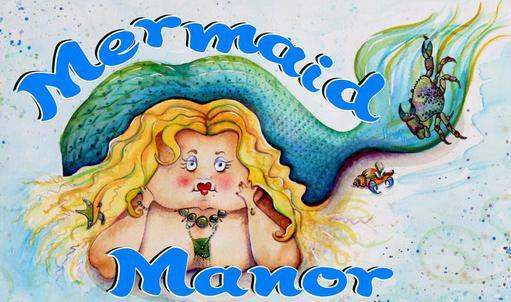 Mermaid Manor is a non smoking vacation rental. Mermaid Manor does not allow pets. Thank you for your co-operation.